Good afternoon everybody and welcome to our last home game of 2016 in what is our 50th season. With Pagey away (he says reluctantly, but I’m not sure I believe him) at a 60’s weekend in Skegness, the baton has passed to me this week to provide a few words ahead of our match against high flying Havant. Well, this season’s London 1 South is competitive with a big bunch of clubs including us clustered around mid-table with 6 wins and 6 losses with the importance of bonus points being highlighted with a 4 point spread covering 4 teams. 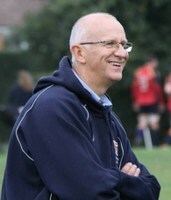 Although Alec Ferguson’s claim that you don’t win the league at Christmas carries much merit Sidcup look to be sitting pretty and have over 4 or 5 seasons been very consistent delivering a top 5 position almost every year, but as we all know strange things happen in the second half of the season as the weather, injuries and home counties skiing season all come into play. Our progression curve remains upwards with two exceptional home victories against Sevenoaks and Tunbridge Wells confirming that at our best we are a match for anyone, particularly at Fowler’s Wells. However our travel sickness pills on trips to Maidstone and Totts weren’t quite working as we came a very close second best in games that we could and maybe should have won. In particular last week’s 71 point thriller down in Hampshire was a real gut wrencher with Totts going the length of the field in the last minute to sneak a victory. Today we welcome opponents Havant who are flying high in second place after only a 9th place finish last year, so we can see that there’s something going particularly well down in Hampshire. With only 2 losses and a draw they are 8 points behind Sidcup but claim the highest points difference in the league with pole position on points scored with 512 in the bag. We have had some great tussles in recent years with honours even last year preceded by a Chobham double. So today Ryan and Tony will have the group focussed and in close encounters, the touchline will be really important and the players will as ever be grateful for your support in cheering us onto victory as our 16th man.